Working on and scanning through the Underground Film Journal’s Underground Film Timeline periodically, I am continually struck and impressed by the strong efforts of a certain, key few individuals who have both set down an official historical course and have charted a definitive future for avant-garde and experimental film. Without these individuals’ efforts, perhaps there would not be a history for me to attempt to chronicle on this website. Typically, these individuals have worn multiple hats in their artistic careers, serving as filmmakers, curators, lecturers, journalists and such. While much of their work was about promoting underground film as a valid and to-be-respected art form, there is also a strong component — if not a guiding component — of self-preservation. That is not to imply a disparagement on their accomplishments as being merely self-serving, but the survival of the one does lead to a survival of the many. That is, if one can consider the still relative obscurity of the underground as “surviving.” But, at least, the underground has a history that isn’t forgotten and can be charted. So, “Underground Film Revolutionaries” is a new series on the Underground Film Journal to help define exactly these figures’ esteemed places in avant-garde and experimental film history and help inspire a new generation of underground film enthusiasts. In many regards, the accomplishments of those in the past may be taken for granted as their revolutionary acts of their time have become commonplace. This can be said to be particularly true of Maya Deren who is, of course, revered for her beautiful, revolutionary avant-garde films. However, Deren isn’t known today just because she made great, timeless work. That work could have faded into relative obscurity if not for her strong, self-promotional efforts; taking on enterprises that were relatively unheard of in her day, particularly as a woman. 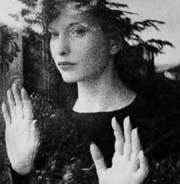 In the early ’40s, Deren was operating in a near avant-garde film vacuum in the U.S. There were a few other American avant-garde filmmakers working at the same time, such as Kenneth Anger, Willard Maas, Harry Smith and Mary Ellen Bute, but the scarcity of underground screening societies and distribution organizations meant pitiful opportunities for getting their films seen outside of being accepted into film festivals. So, in 1946, Deren created major opportunities for herself. This was an intense year for Deren, beginning with renting the Provincetown Playhouse in New York City for a one-night show of Meshes of the Afternoon, At Land and A Study in Choreography for Camera. Her gambit paid off: The show was a hit and repeat screenings were immediately arranged. In addition to just getting her work in front of enthusiastic audiences, Deren was beginning to position herself as a major film theorist by publishing her first monograph An Anagram of Ideas on Art Form and Film, which outlined the theoretical underpinnings of her work. One of Deren’s main subjects in her monograph are her thoughts on poetic film structure, which she described as being “horizontal” as opposed to the “vertical” structure of traditional narrative films. This was an, at times, controversial concept that she would promote continually throughout her career, such as at a legendary symposium in 1953 where she discussed poetic film theory with Willard Maas, Parker Tyler, Arthur Miller and Dylan Thomas. Also in 1946, Deren was further shaping her filmmaking career by applying for and being awarded, as the first female recipient, of a Guggenheim Foundation grant, which she would use to travel to Haiti for an epic ethnographic film that she never completed in her lifetime. She also completed her fourth film, Ritual in Transfigured Time, in 1946. Today, setting up screenings for oneself, writing theoretical filmmaking essays and applying for artistic grants are not revolutionary acts. In fact, accomplishing these things are expected of filmmakers trying to get their work out there. But, in 1946, these efforts were unheard of. Deren upended the whole notion that a filmmaker, especially an underground filmmaker, has to sit back and have respect conferred upon them from reputable sources should they deserve it. Deren actively promoted herself way above and beyond the call of what was expected of filmmakers of her time.